The simple way to color calibrate your camera, display, projector and printer with a broad range of options and control to ensure the color you see is exactly the color you will get. As a photographer you know perfect color is essential. ColorMunki Photo ensures your files can be captured, viewed, shared, printed and reproduced accurately every time. Without frustration. Without wasting expensive media and ink or your valuable time. You’ll be amazed at how simple getting professional color truly is. X-Rite ColorMunki Photo is an all-in-one color control solution that provides complete control over calibrating your cameras, monitors, projectors and printers. Our wizard-driven software provides the perfect balance of automation with a full range of creative controls for photographers looking for more control over their color. We guide you through every step (in just minutes) providing a complete range of professional options that allow you to customize and fine tune your workflow and get back to focusing on what you love, knowing that what you’re seeing on your monitor will match your final output. Let your artistic side go wild! Put control of your image library at your fingertips and automatically extract colors from any image. Or go directly into an image and drag any color you can see to create a custom color palette. 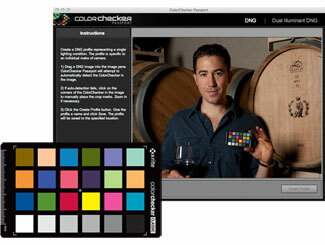 ColorMunki Photo also lets you grab color from virtually any substrate with the easy spot color measurement function. Then, when you’re ready to use your custom palette, synchronize or import into your favorite photo and design applications. With ColorMunki's PrintSafe™, you can preview your color palettes under different lighting sources and evaluate your printing process. Think of the money you’ll save by catching out-of-gamut colors BEFORE you go to production! 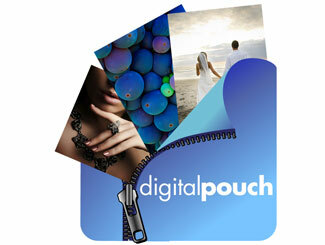 When you’re ready, confidently share your images with ColorMunki’s DigitalPouch. Simply drag and drop them into the pouch, “zip” it up, and send. 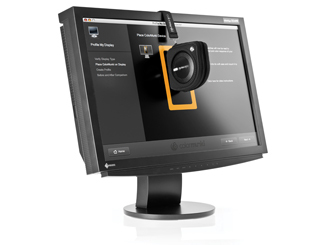 The recipient doesn’t need any special software installed; they’ll be able to view the images with your embedded profiles in a self-contained image viewing window. Plus the DigitalPouch will automatically check the recipients monitor for a current profile and provide a warning if they aren’t profiled, so you can be assured you and your client are each viewing on a profiled monitor. ColorMunki solutions deliver simply amazing results at the speed of life! All-in-One spectrophotometer is the only device required to profile monitors, projectors and printers and measure colors. A white calibration tile is integrated, so there’s nothing to lose or match up to your device. A protective bag doubles as an integrated monitor holder - and it all fits in the palm of your hand. Easy and Advanced Monitor Profiling Modes: Easy mode’s predetermined selections are perfect for photographers who are looking for quick and easy profiling. Choose Advanced if you want more control over whitepoint, contrast, brightness or ambient measurements. Calibrate and profile all of your LCD, CRT and laptop monitors so you know the colors you see on screen are the same colors you’ll see in print. Automatic DDC recognition will quickly determine if your monitor is compliant and if so, perform all advanced display calibrations automatically, delivering a high quality profile with no user intervention. Advanced mode offers the ability to optimize your display luminance, based on ambient light or any value you specify. Automated contrast clipping test for an even easier display contrast and brightness optimization workflow. ColorMunki technology gives you fast and accurate projector profiles so you can show your images on the big screen to clients, family and friends with color confidence! Before and after visualization and calibration reminder prompts keep everything in check. No need to read individual color patches – ColorMunki’s superfast scanning can rapidly measure test charts in less than one minute! 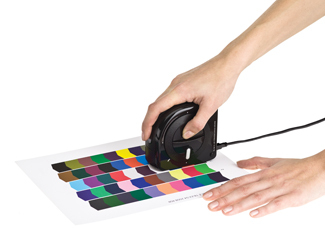 Simply scan one 50-patch test chart, and ColorMunki will learn how your printer behaves with these colors and dynamically generate a second chart of 50 patches. Then print and scan this second chart of 50 patches and your profile is perfected! ColorMunki is so smart it even has the ability to optimize your profile based on images for specific colors, black & white, flesh tones, etc. Automatically extract colors from any image in your library or go directly into the image and drag any color you can see to create a custom color palette. 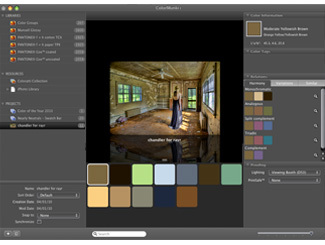 ColorMunki Photo also lets you grab color from any surface with the easy spot color measurement function. With ColorMunki's new PrintSafe™ checking capabilities, you can preview your color palettes under different lighting sources or evaluate printing processes for out of gamut colors before you go to production. When you are ready to use your custom palette, synchronize or import into any of your favorite photo and design applications. Share your masterpieces quickly and easily with DigitalPouch, a self-executable application that allows for color managed sharing and viewing of your images. Simply drag and drop the images you want to transport into the pouch, “zip” it up and send. The receiver doesn’t need to own or install any special software. They simply doubleclick on the DigitalPouch file and they’ll be able to view the images with your embedded profiles in a fully automatic and color managed viewing application. DigitalPouch files are even completely cross platform independent so you can send the same file to Windows or Macintosh users and the color results will match. DigitalPouch also checks the recipients monitor for an up-to-date display profile and indicates if it’a ViewSafe™ or color accurate environment. This provides you and your customer complete confindence that the color integrity of the images is being preserved when viewed by all. *This product may allow you to access certain features that are hosted online ("online services"), provided you have a high-speed Internet connection. The online services, and some features thereof, may not be available in all countries and/or languages, and may be discontinued in whole or in part without notice. This product must be activated prior to use. Internet connection is not required. Software must be installed prior to connecting and activating ColorMunki device. Interactive training modules available in all languages (except Portuguese). Black ColorMunki spectrophotometer, ColorMunki profiling software, ColorMunki Photo ColorPicker and DigitalPouch software, ColorChecker Camera Calibration Software, ColorChecker Classic [mini] Target, Interactive Training DVD, ColorMunki protection bag/monitor holder, Quick Start Guide and USB power cord. ColorMunki Photo includes an unlimited seat license for all users. ColorMunki Photo includes an end user license agreement (EULA) allowing a single user the ability to install and run unlimited installations of ColorMunki software on any number of computers that he/she owns. X-Rite ColorMunki allows customers to freely delete the solution from one computer and add to another without requiring any software registration. The ColorMunki activation process is designed to allow the software to connect to the hardware device when first using on designated computer station, and does not require an internet connection. A PDF of the single user, unlimited seat license policy can be downloaded via Support Tab link. +Can the ColorMunki profile a printer that is not connected? +Create a logical name for your profile. +LUT Loader for Windows, what is it? +LUT Tester - How do I Know if My Video Card is Compatible? +Monitor Profiling, Colormunki has encountered a Measurement Problem. +Thunderbolt Display Causes USB Problem? +Tray Application and Can It Be Disabled? +What is the Delta E Threshold Used In PrintSafeTM? +Where is my ColorMunki serial number located? +Do I need a UV filter? +Where Does My Operating System Store ICC Profiles? +Adobe Gamma Loader - How do I Disable this Program? +How Often Should I Profile my Display? +Profile Reminder - How often should I profile my Display? For creative folks who demand professional quality coupled with an easy, wizard-driven interface, X-Rite ColorMunki Display offers everything you could possibly need to get you to a brilliantly-calibrated display or projector while helping you stay focused on doing what you love. Plus, with X-Rite ColorTRUE free mobile app you can even calibrate your mobile devices. For Color Perfectionists seeking simplicity, the ColorMunki Display will absolutely amaze you. The ColorChecker Classic target is designed to deliver true-to-life color reproduction so photographers and filmmakers can predict and control how color will look under any illumination. Each of the 24 colors represents the actual color of natural objects and reflects light just like its real-world counterpart. Ideal for photographers and filmmakers. The 3-step ColorChecker® Grayscale target lets you balance your images or video footage, allows you to align the exposure and contrast of cameras you may be matching, plus simplifies the task of balancing your studio lighting. A white, gray and black target all on a single card make color adjustments and grading faster and easier with your photo processing or video editing software. Ensure your digital camera’s Raw photo image or video footage accurately portrays real life. The ColorChecker® Gray Balance target will help you obtain instant gray balance, evaluate studio lighting and make quick color adjustments. Choose your Country to begin. Select your Country to begin. "Profiling one computer with two monitors has never been easier or more intuitive." "Profiling one computer with two monitors has never been easier or more intuitive.Exactly what I was looking for. Monitor calibration and printer profiling for those who need it but don't care to know the details." "I love being able to print the vision that I've created in my mind and on my monitor. My printer has always been the weakest link - NOT ANY MORE!!" "After using several other calibration systems, I finally am able to print accurately what I see on my monitor." "It's saving me paper and ink. I had tweaked my printer over the years to be (I thought) pretty good. But ... I still would have to print two or three test prints before I was really happy. Now the first (or occasionally) the second is right on!" "Excellent product! I can't describe the joy of having the very 1st print be perfect!!" "The best and easiest device I used yet. And I've use almost all." "First time that I have been able to match monitor and printer showing good colors!" "I have been trying for three years to get my monitor and printer in sync! Success has found me with ColorMunki!" "Fantastic, on screen, step-by-step calibration routine! One of the best I've used." 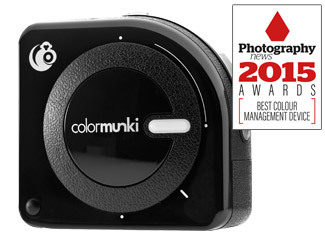 "The ColorMunki is one of the most versatile color matching/profiling devices I've ever seen . . ."
"The ColorMunki is small, smart and stylish! I found measuring the patches to be very easy and effective . . ."
"I am much happier with the color I am getting. It is a definite improvement. The brightness and contrast has helped immensely . . ."
"My first print, after profiling the monitor and making a printer profile for my Epson R800, was just great . . ."
"You have done it, X-Rite! I am thrilled with the ColorMunki, and my students will be too! . . . "
"Bellisimo! Bravo to X-Rite for the amazing ColorMunki! Out of the box, easy 1,2 3 color management . . ."
"For all you photographers out there who want to enhance your prints with correct color presentation ColorMunki is for you. Profiling your displays and printers can dramatically help your prints and the easier it is to create these profiles the better." "There is no doubt in my mind that the ColorMunki is a worthwhile addition to a photographer's arsenal. Monitors and printers will change over time and will do so more slowly than your eyes can discern." “Up until now, you had to be a geek if you wanted to calibrate your printer. It would require meticulously measuring several sheets of hundreds and sometimes even thousands, of small color patches, individually, one at a time. Sounds like fun? Well, maybe if you’re generally very very bored. And, the devices used to measure, often cost quite a lot, if they are of any worthwhile quality. That was until the ColorMunki came to town. The ColorMunki is based on a spectrophotometer, not the cheaper colorimeter variations that are found in cheaper monitor profiling packages…”. “To paraphrase an old Beatles song, "Everyone has something to hide except me and my ColorMunki!" What do I mean? It is the hidden colors that exist in your photo, and because of any number of reasons, don't show up either on your monitor and/or on your printer, because they are not calibrated correctly and together. That is what the ColorMunki can do." © 2019 X-Rite, Incorporated. All Rights Reserved.